The Beechcraft Super King Air family is part of a line of twin-turboprop aircraft produced by the Beech Aircraft Corporation (now the Beechcraft Division of Hawker Beechcraft). 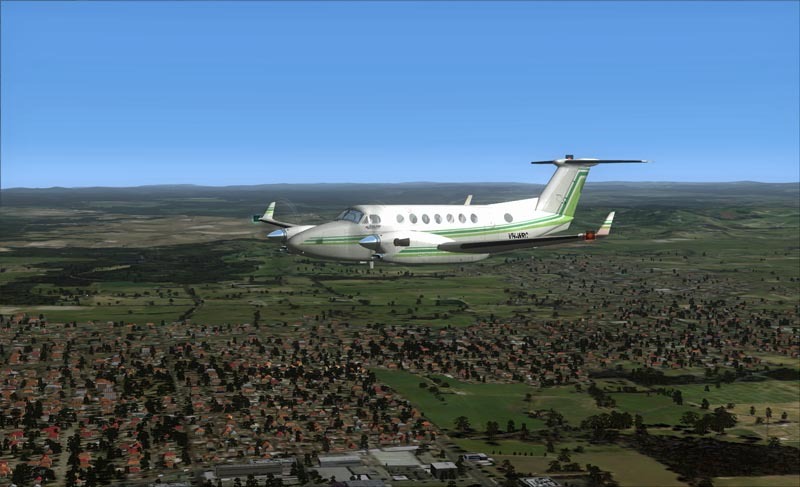 The King Air line comprises a number of model series that fall into four families: the Model 90 series, Model 100 series (these models comprising the King Air family), Model 200 series and Model 300 series. 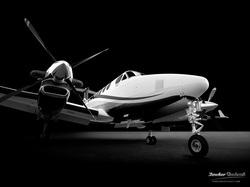 The latter two models were originally marketed as the "Super King Air" family, but the "Super" was dropped in 1996. The Super King Air family has been in continuous production since 1974, the longest production run of any civilian turboprop aircraft in its class. It has outlasted all of its previous competitors and as of 2009 the only other aircraft in its class is the Piaggio Avanti. As of December 2009, the B200, B200GT and the larger B300 are the production models. Special mission derivative versions of these models are also available for order. By 1988, Beechcraft had begun work on the replacement for the 300. The fuselage of the 300 was stretched by nearly three feet with two extra cabin windows on each side and winglets added to the wingtips to create the Model B300, introduced in 1990 and initially marketed as the Super King Air 350. MTOW was increased again to 15,000 lb (6,750 kg); as the same regulatory situation that led to the development of the 300LW still existed, that model continued to be produced until 1994. Like the 200 and B200 before it, a version with a large cargo door was developed, the Model B300C marketed as the "Super King Air 350C". The first deliveries of this model also took place in 1990. In 1998 the UltraQuiet active noise canceling system, made by Elliott Aviation, was added as standard equipment on all B300s. In October 2003 Beechcraft announced that it would deliver future B300 and B300C King Airs with the Rockwell Collins Proline 21 avionics suite. The B300 model is still in production today (now marketed simply as the "King Air 350", the "Super" being dropped in 1996 as mentioned earlier), while the B300C is available for order; four were built in 2007 and Hawker Beechcraft announced on November 11, 2007 that it would deliver five to Saudi Arabia in 2008 for use as air ambulances. On June 13, 2005 Beechcraft announced at the Paris Air Show that it was developing the King Air 350ER version of the B300, an equivalent to the earlier Model 200T and B200Ts of the 200 series. Changes include an increase of MTOW to 16,500 lb (7,430 kg), provision for surveillance equipment in a belly pod, the landing gear of the Beechcraft 1900 to handle the increased weight and provide ground clearance for the belly pod, and extra fuel capacity in the engine nacelles to increase range (because of the B300s winglets it was unfeasible to fit wingtip fuel tanks as found on the 200T and B200T). On November 11, 2007 Hawker Beechcraft announced that the 350ER had been certified by the FAA. In October 2008 Beechcraft announced updated versions of the B300 series, the King Air 350i, with improvements to the passenger cabin. The manufacturer claims that the noise level and overall comfort of the King Air 350i, 350iER, 350iC and 350iCER are now competitive with those of light jets. The cabin of the B300 series has been updated with controllers in the passenger seat armrests that dim the LED lights, darken the windows and control an iPod dock and a high-definition video monitor. The cabin also includes Universal Serial Bus (USB) ports, AC electrical receptacles and fold-out tables for each passenger in the eight seats fitted. Deliveries commenced in December 2009. 2001 while others have been retired and replaced by newer King Airs. As of January 2009 the RFDS operates 34 200 series King Airs throughout Australia.